Western Digital specializes every storage drive to have a purpose. Since 1970 Western Digital has been the leader in storage and storage array technology. Today they have become the world’s leader in storage technologies specializing in external cloud storage, internal hard drives, and storage arrays. Aventis Systems is proud to offer a 1 Year Essentials warranty on all Western Digital My Cloud Pro PR2100 NAS systems with optional Secure Drive, Extended, and Express warranty upgrades. 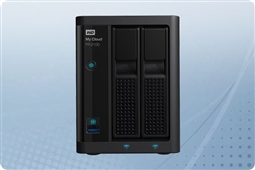 So shop below for for the ultimate in reliable and centralized professional desktop and laptop backup with the Western Digital My Cloud Pro PR2100 from Aventis Systems! Looking for more features and capacities? Check out our complete selection of Hard Drives custom tailored for your system by using our Hard Drive Selector Tool! Looking for other components to supplement your systems? Check out our other selector tools for the perfect fit for your requirements in our complete Components section.